Judge Sonia Sotomayor, who rose from the housing projects of the Bronx to the top of the legal profession, made history Thursday when the Senate confirmed her to become the nation’s first Hispanic Supreme Court justice and the nation’s 111th Supreme Court justice. The vote was 68 to 31. The support included nine Republican ‘yes’ votes and 59 from the Democratic side of the aisle. All 31 votes against Sotomayor came from Republicans. Sotomayor becomes the third woman to serve on the Supreme Court, following Justice Ruth Bader Ginsburg and former Justice Sandra Day O’Connor. President Barack Obama, remarking on the confirmation, calls it “a wonderful day for America”. She will be sworn in at the Supreme Court by Chief Justice John Roberts on Saturday. President Obama will nominate Sonia Sotomayor, a federal appeals court judge in New York, as the first Hispanic to sit on the Supreme Court. With this selection, President Obama has found somebody whose unlikely ascent to power is similar to his own life story. 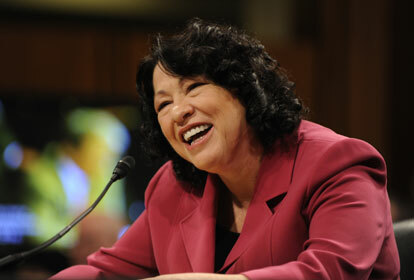 Like Obama, Sotomayor represents the rise of the meritocracy. Sotomayor grew up not far from Yankee Stadium in a Bronx Housing project. 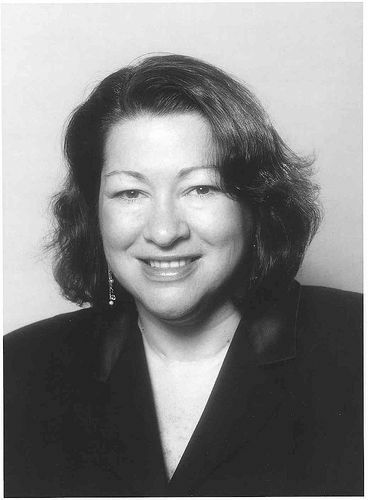 The daughter of Puerto Rican parents, Sotomayor lost her father at 9 and was largely raised by her nurse mother. Get more information about her here!